The Class rules were amended in January 2015 as per the motions brought forward by a voting quorum of paid class members. 1.) Allow use of Dyneema for the backstay and control lines. 2.) To increase the crew weight limit to 1100 pounds as was intended originally in 1984. 3.) To allow use of carbon spinnaker poles. 4.) To follow the RRS on the use of life-lines. 5.) Allow 2 spinnakers to be carried and used. 6.) The mast may be altered so that the spinnaker halyard may be jump hoisted at the mast and cleated at the mast. The requirements of Rule 22 were met and therefore these motions were voted upon and carried through. I feel these changes are in the best interest of the class moving forward. For those who were involved in the process thank you for your time and effort. Great competition on Lake St-Louis as 17 boats are expected as the Royal St. Lawrence Yacht Club hosts the North American Championship on September 21-23, 2012. Have a look at the regatta documents below. Another great competition on Lake St-Louis as the Royal St. Lawrence Yacht Club hosts the North American Championship on September 23-25, 2011. Have a look at the Regatta Article below to see how it went. Hosted at Newport, VT by MYC on September 17-18, 2011. 18 boats were on hand in the beautiful surounds of Lake Memphremagog. Have a look at the Regatta Article below to see how it went. 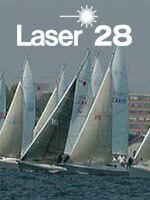 Once again this year, Yacht Club St-Benoit du Lac on Lake Memphremagog will host the Laser 28 Canadian Championship on September 18-19, 2010. It should be a nice fleet once again this year. Another big fleet with great competition on Lake St-Louis as the Royal St. Lawrence Yacht Club hosts the North American Championship on September 25-26, 2010. Registration starts on September 24 and runs from 17h00 to 19h00 with late registration at 8h15 on September 25th. September 19th to 20th should be great weekend for racing on Lake Memphremagog as the Canadian Championship rolls into town. 15 to 20 boats are expected, sounds like there will be some great racing! A BIG thank you to Martin Collette for making this happen. Registration on September 25th, racing on September 26 and 27th. Lots of races scheduled and about 15 boats are expected. Should be a great season finale! 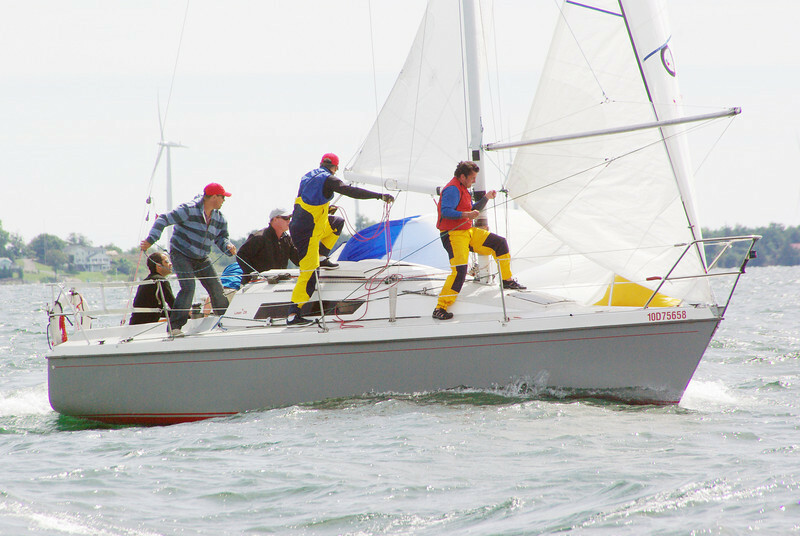 Seagal crew goes racing on Convictus at Cork Offshore 2009. After a slight mishap with Seagal, the team ended up sailing on Convictus for Cork this year. Looked pretty convincing too as they easily won their division and CORK Offshore Overall - well done guys!